Because I live in the best up and coming creative city (read: Denver), I feel the need to share my favorite jaunts and havens where I devote my time. When I want a true cultural art fix, one that pushes the creative imagination and inspires wonder, I head to Wonderbound. It's edgy, it's modern, it's ballet. What more could you want? My favorite performances to date have been A Gothic Folktale and 2014's Love. But don't even worry about that. Every performance is awe-inspiring. My admiration comes from their collaboration across all creative mediums in Colorado. Featuring live music in every production, you'll find everything from a traditional Baroque Chamber Orchestra to indie folk band Chimney Choir. The costuming is a delight, the multidimensional mix of media art is divine and the choreography, oh the choreography. Where else can you mix modern ballet with indie music, magicians, videography, audience interaction and straight up wonder? Garrett Ammon and his wife Dawn Fay are responsible for this company of wonderment in the heart of Denver. Last weekend, I got to experience the delight their latest production, Marie, the valentine's interpretation of the famed Marie Antoinette. The lobby was enticing with a special gallery of Marie-inspired art by Michael Dowling, curated by Eric Dallimore and Eric Nord of Leon Gallery - another great gem in Denver. It was just as inspiring as the performance and the perfect complement to delight more of your creative senses! 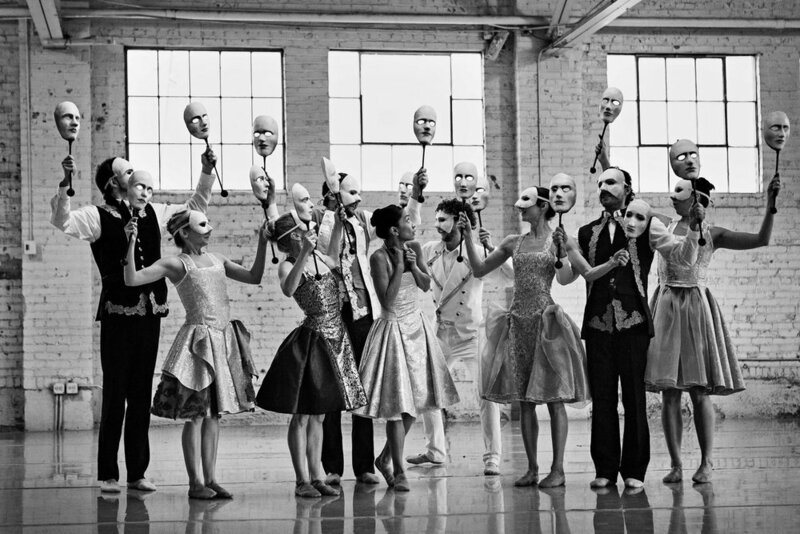 One of the best kept secrets of Denver, Wonderbound is modern ballet that will win over people that never even thought they would be excited by the ballet. It's about $25-50 a ticket and never a terrible seat in the house. Or, become a season subscriber and get reserved seats and a seriously great deal for each show! Next up for them? Boomtown with Chimney Choir April 17th - 25th. You in? Chimney Choir is possibly Denver’s most adventurous folk/rock band, creating genre-bending music and medium-defying performances – a perfect fit for a Wonderbound collaborator. Adventure into the realms of personal myth and the power of place in a land where the mountains meet the plains and humanity endeavors to leave a mark worthy of the earth beneath its feet. See you at the ballet! Oh, hey! I'm Lenay. Welcome to Whim and Fancy.